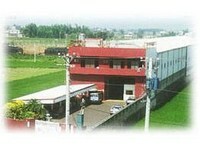 DAH-LIAN Machine Co., Ltd. was established in 1979. We manufacture top quality fastener making machinery & fasteners. We have sold over 4000 sets of machinery worldwide. In our production line, we have heading machine, thread rolling machine self-drilling screw forming machine, bolt former and other special purpose machinery. In our fastener production line, we are specialized in drywall screw, tapping screw, chipboard screw and multi-stage bolt. We strive to improve our quality & technology. We are at your service anytime to inform you in detail about the different ranges of application from our various machines. For particular problems, we also offer special solutions. For various possibilities of equipping and supply, it is subject to agreement. High quality at reasonable price, durability, prompt delivery and good after- service are our upmost goals for clients.